Maria Victoria Galante was a loving wife, mother, and grandmother. A caring nurturer, she cherished her years as a mother and was delighted with the arrival of her grandchildren. Living her life to the fullest and enjoying the company of each and every person who came her way, she leaves behind a rich legacy of accepting all people with compassion. Her warm personality, genuine friendship, and loving ways will be deeply cherished for generations to come. 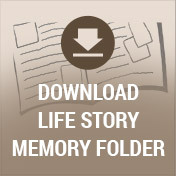 The 1930s were significantly impacted by the effects of the Great Depression. Banks were still closing but there was a promise of a new election year awaiting. By 1931, mobster Al Capone was locked away in Alcatraz, the Empire State Building had finished completion, and one of the greatest droughts in American history had hit the Central Plains region. During the middle of one of the toughest decades in American history, Fermin and Matea Uriarte, immigrants from the Basque region of Spain, welcomed home the arrival of their newborn daughter, Maria Victoria on October 18th in Dearborn, Michigan. Her birth brought much joy to the family in tough economic times. Growing up one of six children, Spanish was the primary language in the family home. Eager to learn English, Maria Victoria visited the library where the librarian, Miss Knewns helped her master the English language and fall in love with reading. Her mother was a homemaker and her father worked at Ford Motor Company and ran a local Latin bar, The Casina La Conga, known for its Spanish entertainers. Once as a child she drank an entire bottle of wine from her father’s bar, Maria Victoria was sure she was dying and started praying the Rosary. Her mother reassured her that she wasn’t dying just a wee bit drunk! She and her siblings lived for Saturdays where they would visit the local theater and enjoy matinees for a nickel! 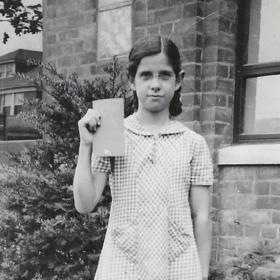 Maria had a special knack for numbers and by the tender age of ten years old, she was able to run the cash register at the local dime store! She saved her money as well as used it to treat herself at the soda fountain! As a young woman, Maria was called after her middle name, Victoria and nicknamed, Vicki. 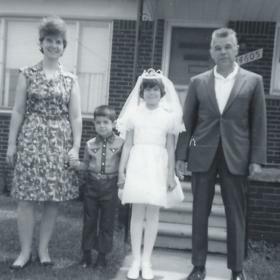 Graduating from Holy Redeemer High School in Detroit, Michigan, Vicki entered the world of work. She started out at the counter of Saunders Restaurant, before later joining WXYZ radio as a switchboard operator. During her years there, she collected many first copies of LP records. Two of her favorites were Frank Sinatra and Tony Bennett. Later her strong math skills were needed as a bookkeeper. Not to be forgotten was the meeting of the man of her dreams, Samuel Galante! They met at a singles group in 1961 at St. Barbara Church. Dating for two years, the happy couple joined in marriage at St. Bernadette Catholic Church in 1963. Eager to start a family of their own, they welcomed home Peggy and later their son, Joe. She and Samuel raised them with a strong family foundation and faith life. They believed in the Golden Rule and instilled in them a strong work ethic. As a mother, Vicki was always patient and enjoyed helping the children with their homework. Peggy picked up her mother’s voracious reading habits and looked forward to their long evening bike rides together after school. As a family, they vacationed to Camp Dearborn each summer and also spent time at the Resort Cottages in Red Bay, Ontario, Canada. Their dad insisted that Vicki get a break from cooking and had their meals prepared by the lodge. They enjoyed many long walks on the trails as well as fishing and hanging out by the campfire. Whenever they were together as a family, Vicki’s heart was full. Vicki enjoyed many favorite pastimes. 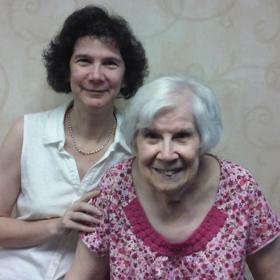 She was an avid reader, servant of her church, and loved to play board games and complete jigsaw and crossword puzzles. The priest often requested that she help to launder the altar boys vestments. Once she washed and ironed all thirty pieces thinking what had she gotten herself into! Vicki was over the moon when she was blessed with her grandsons, Joey and Mikey. She enjoyed each and every time they visited and shared in their many successes. Known for her childlike enthusiasm for life, Vicki leaves behind a remarkable passion for her family and her faith. She never let a challenge get the best of her, instead, she prayed that her Lord and Savior would provide her with the answers. When her beloved husband, Sammy died in 2011, she leaned on her family and close friends for support. Her life was blessed with many wonderful opportunities to help others and her smile could brighten anyone’s day! Vicki will surely be deeply missed and fondly remembered by her many special friends and loved ones. 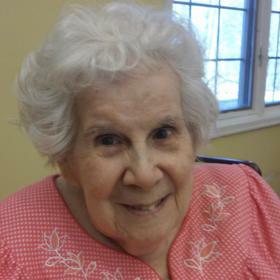 Maria Victoria Galante, age 87, passed away on March 22, 2019. 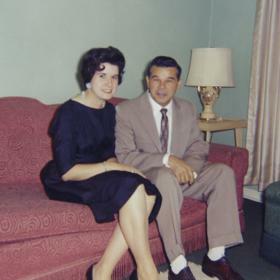 She is survived by her children; Peggy and Joe (Yayoi); grandchildren, Joey and Mikey; sister, Theresa Ferland; and sister in laws, Patricia and Marilyn. She was preceded in death by her parents, her husband, Samuel Galante; her sister, Rose Aberasturi, and brothers, Adrian, Frank, and Anthony. Vicki leaves behind many nieces and nephews. Visitation Tuesday, March 26, 2019, 3:00 PM to 8:00 PM, Scripture service 7:00 PM at Neely-Turowski Funeral Home, 30200 Five mile road, Livonia. A funeral Mass will be held Wednesday, March 27, 2019, 9:30 AM, instate 9:00 AM, at St. Aidan's Catholic Church, 17500 Farmington Road, Livonia. Donations may be made to Angela Hospice at www.angelahospice.org.